Description: It's That Time Again! Monday-Thursday 6:30-8:30 pm at the Shenandoah Elementary School Gym during Basketball Game. If this is your first year in the league, you must bring a copy of your child's birth certificate to registration. No refunds! 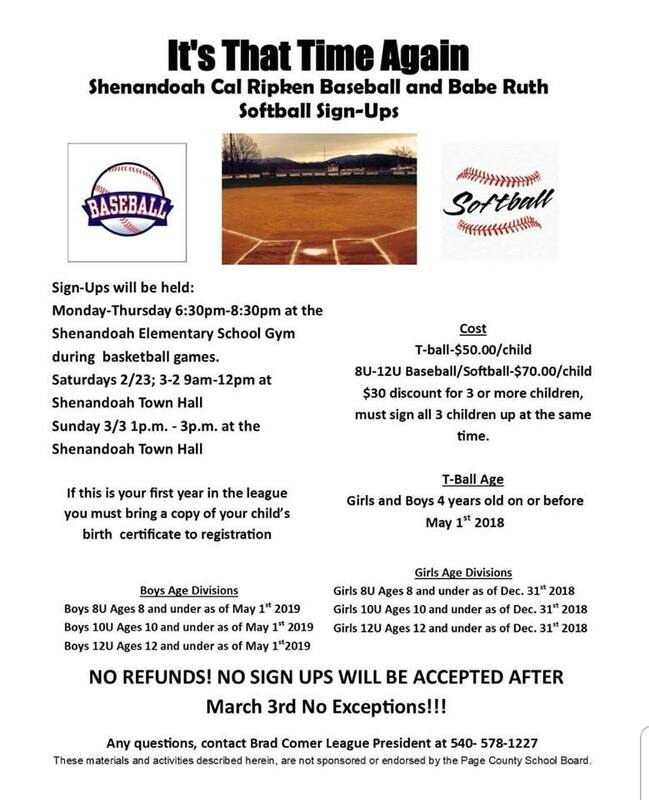 No sign ups will be accepted after March 3rd - no exceptions!